Fewer than half of Americans are getting the flu vaccine, and that has the CDC and doctors worried. A new study, however, may result in doctors aggressively scheduling flu shots for patients to combat this trend. A Rutgers study has found that doctors who schedule flu shots for their patients see a dramatic increase in vaccination rates. Patients are actually three times more likely to get vaccinated when their physician makes the appointment than when they are invited to make the appointment themselves. 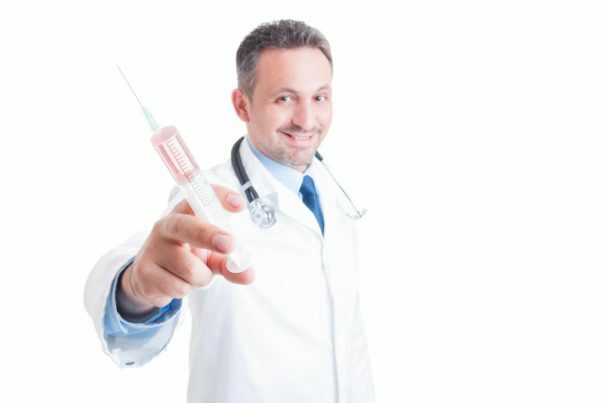 In 2016 U.S. Government officials were finally forced to publicly admit that flu vaccines are only 50% to 60% effective at preventing lab-confirmed influenza requiring medical care. The disturbing part is that public health doctors have been aware of the ineffectiveness of flu vaccines since the first ones were licensed in 1945. But that did not stop them from recommending that every child and adult should get an annual flu shot starting at six months old and through the last year of life. So why do doctors continue to put up this charade? Well for one thing, medical schools are still teaching future doctors that vaccines are not only safe but necessary. There is also the financial incentive when some doctors receive bonuses based on the quota of vaccines they administer. Not to mention there are pharmaceutical companies that give physicians trips to luxury resorts, money, and promotional items, in the hopes of increasing prescription rates for their drugs. While there are some doctors that acknowledge these practices are wrong, many stay silent out of fear and pressure of being publicly humiliated or scorned. Many people are sadly still indoctrinated to believing that all doctors’ motives are altruistic and in the best nature for the patient, but that is not always the case, and many people don’t realize it until it is too late.